Conventional wisdom dictates that photography is inherently non-cinematic. Static where film is kinetic, photography may be beautiful to look at, but it isn't necessarily as involving as cinema can be because it isn't moving. Conventional wisdom, it turns out, is sometimes wrong. Case in point, Wim Wenders' mesmerizing new documentary, The Salt of the Earth. Nominated for Best Documentary Feature at this year's Academy Awards, The Salt of the Earth is the story of renowned Brazilian photographer Sebastião Salgado, a man known the world over for capturing the story of humanity in striking black and white. 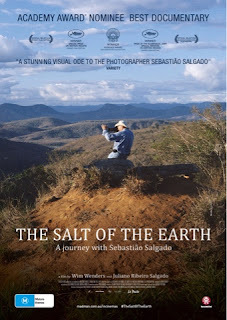 Co-directed by Salgado's son, Juliano Ribeiro, The Salt of the Earth is a deeply personal chronicle of one man's lifelong quest to document the story of this earth and the people who make it what it is. From miners to merchants to endangered species, Salgado's warmth and love for his fellow man, and the fellow inhabitants of planet Earth, radiate from each glorious photograph. Wenders wisely steps back and allows the photographs to speak for themselves. And while a film comprised mostly of photographs may not sound very visually appealing, Wenders has crafted something completely breathtaking and wholly beautiful. Each photograph tells a story, some poignant, some funny, some tragic, each a portrait of a specific moment in time that seems to reverberate through the years. 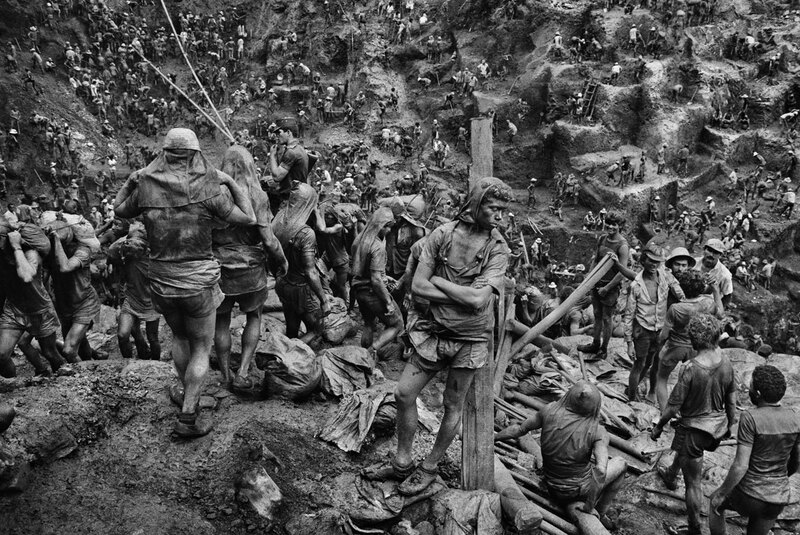 Salgado doesn't need moving images to tell his story, and neither, in turn, does Wenders. Through Salgado's own words and the lyrical eye of his camera, Wenders captures a singular document of our world - with all our joys, tragedies, triumphs, and failures intact. Salgado tackles subjects from the Gulf War (memorably capturing the the burning oil wells of Iraq) to deforestation in South America, telling stories that need to be heard through a series of unforgettable images. Salgado documents human existence with remarkable sensitivity and profound insight into the mysteries of life, and so too does Wenders. The Salt of the Earth is a tremendous testament from one artist to another, speaking volumes through the art of photography in ways you may not have even realized were possible. THE SALT OF THE EARTH | Directed by Wim Wenders & Juliano Ribeiro Salgado | Not Rated | Now playing in select cities. Opens today, May 1, at the Manor Twin in Charlotte, NC.